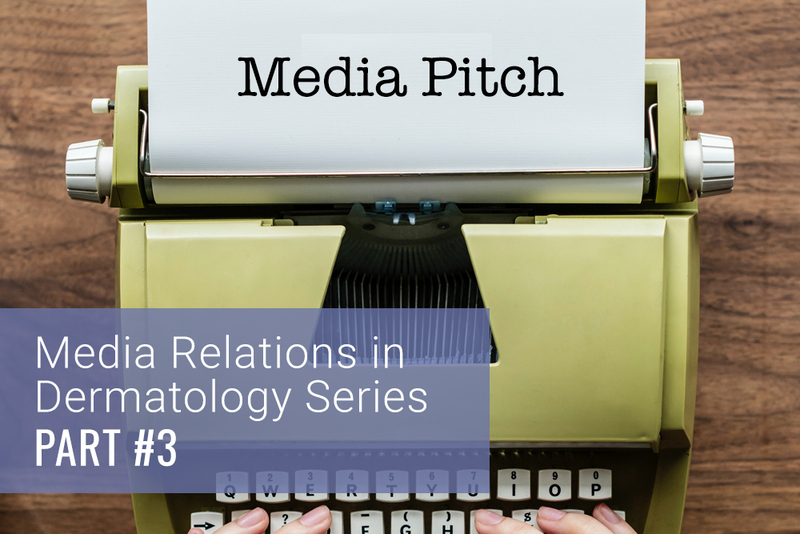 In my previous articles, I’ve addressed reasons for working with the media as a means of promoting your dermatology practice, when you should consider hiring a media relations agency, and what media relations tactics you can do yourself. 1. Build your media list. Create a list of reporters in your area who cover health news. How do you go about this? Read your local newspapers and magazines, and watch your local TV news. Most often, local media outlets have designated health reporters. If that doesn’t appear to be the case, look for the features reporter or editor. If you’re still at a loss, look for the features editor in the newspaper masthead. For broadcast outlets, search the outlet’s website for the assignment editor or managing editor. Once you have identified your contacts, determine how to reach them. You can either call the receptionist at the outlets or look online. Many print reporters include e-mail addresses in their bylines. 2. Determine your story idea. Choose a topic that is of interest to the audience or is of great importance for the audience to know. Be sure to choose a dermatology issue that is faced by many in the audience. The media are more interested in stories about common conditions than rare diseases. 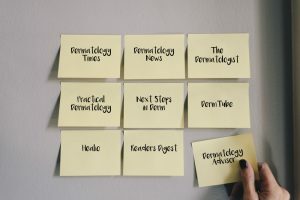 Within your dermatology issue, determine the news hook. Is there a new treatment? Is there new research that is changing dermatologists’ recommendations to patients? Determine what is new and why it is imperative that reporters share this information. 3. Draft a conversational pitch. The dermatology issue you would like to address. Why it is important for the audience to learn about this issue. What is new about this issue. Why you are the expert on this issue. 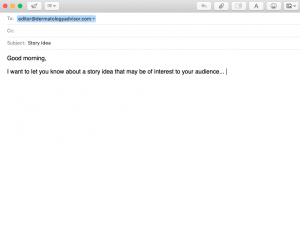 Your pitches don’t have to be formal. An e-mail with a short paragraph or two is sufficient. Remember, reporters receive countless pitches every day, so make every word in your pitch count. Make sure you have the information you need to include and leave out anything that doesn’t support your pitch. Take time and effort with your pitch. 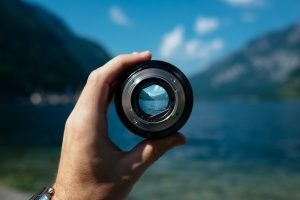 It is a reflection of how well you communicate, so, unfortunately, if you botch the pitch, the reporter will think you are not worth an interview. 4. Conduct follow-up, if needed. If you don’t hear back from the reporter, follow up with an e-mail and then a phone call. 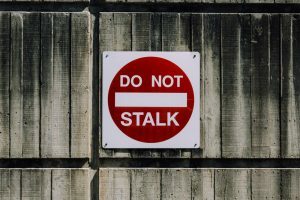 Whatever you do, don’t stalk. Give the reporter space. Health reporters are typically not on as tight of deadlines as news reporters, so it may take some time before the reporter responds. Remember, your pitch may not be successful the first time. Not every pitch will turn into a home run. If it doesn’t work, try again. 5. Seek help when needed. 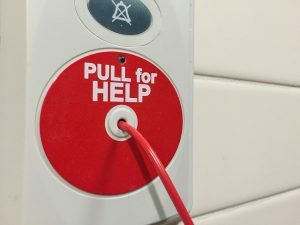 Remember, you can always hire a media relations professional for help if you don’t experience the success you envision or if the process is too involved for you. Always remember this: Media do not exist to promote your practice, but to share the latest newsworthy developments with their audiences. The moment you focus more on promoting yourself rather than the news, you will lose the relationship. 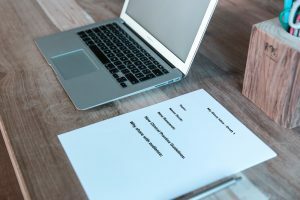 In my next article, I’ll share one very important aspect of interview preparedness – developing key messages. Previous PostPrevious Patient Buzz: Should Dermatologists Recommend Hyaluronic Acid Supplements?